After celebrating his 80th birthday at the Tate Modern and before continuing on with the party at New York’s MET, the English artist is coming to the Pompidou. After celebrating his 80th birthday at the Tate Modern and before continuing on with the party at New York’s MET, the English artist is coming to the Pompidou centre. This will be an important retrospective of his original work, coming nearly 20 years after his first Paris debut at the Pompidou. 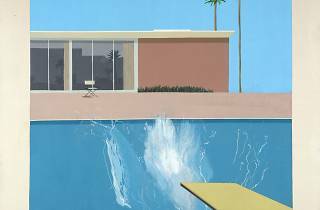 David Hockney is renowned for his many styles, explosive colours and large swimming pool canvases. 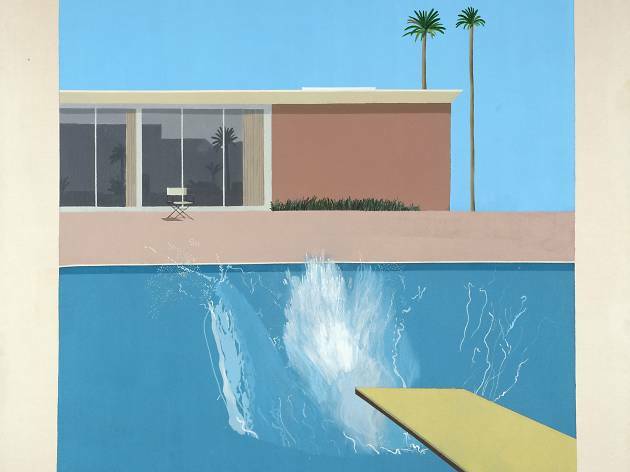 How do you paint a beautiful Californian pool with its moving summer reflections? As Hockney tell us, there are a number of techniques: using blue acrylic paint and drawing evervescent waves in the water, or white arcs on a turquoise surface to resemble the sparkling sun. 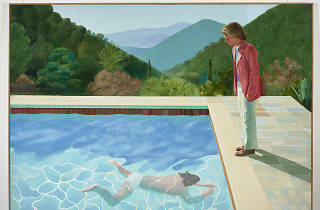 Hockney's realism throughout his younger years, even before he was even 20 is a demonstration of his versitility. After realism came expressionism, with half empty canvases and the liberal themes of homosexuality, right through to surrealism with Egyptian stylised murals. His use of differing exotic colours can become blinding, and his landscapes range from the Californian coast and English hills to West American patios playing host to bright emerald green and flourescent pinks. 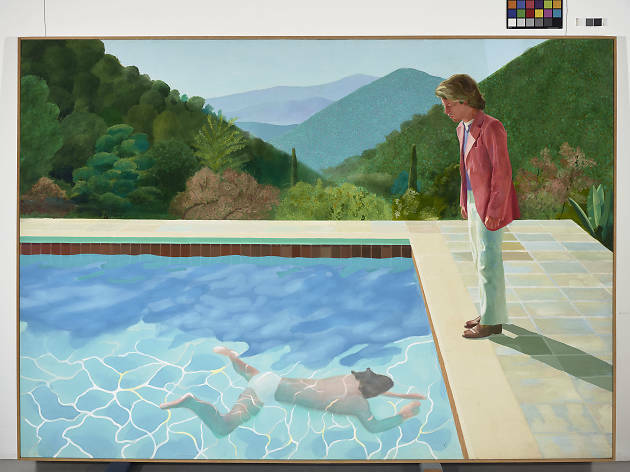 Hockney, inspired by the French artist Matisse who devoted his artistic career to colour, evidently does much of the same.